Gene and Jason both decided to chase Wednesday as reasonable parameters were in place conducive to severe storm development. Jason left from Clinton at around 1:30 and headed towards Woodward again trusting the RAP's placement of a cell on the TX/OK border at around 2. Gene headed south with a target of Greensburg, KS as he was visiting family in Nebraska. The RAP continued its accuracy as a cell went up near the border and headed just south of Woodward at around 2:45. 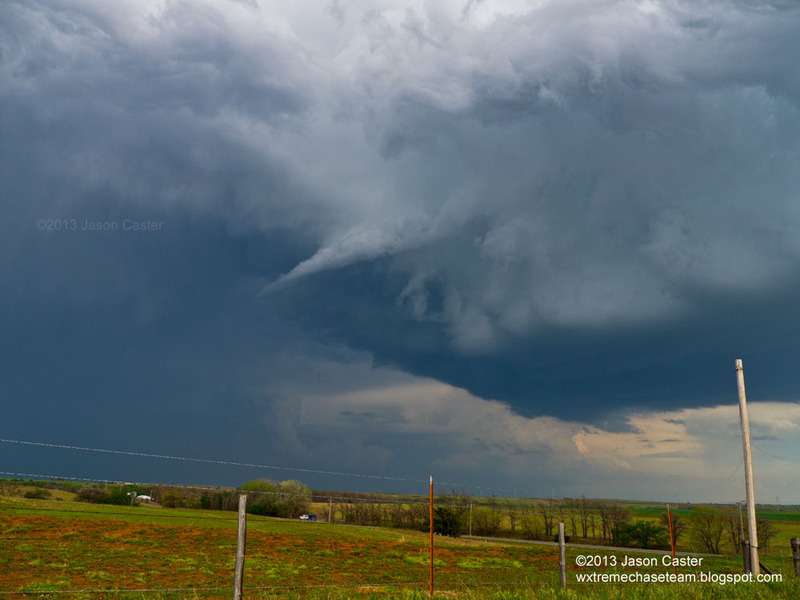 It formed into an LP Supercell and quickly lost steam. A new cell began to form to the south so Jason headed that way to watch it form. 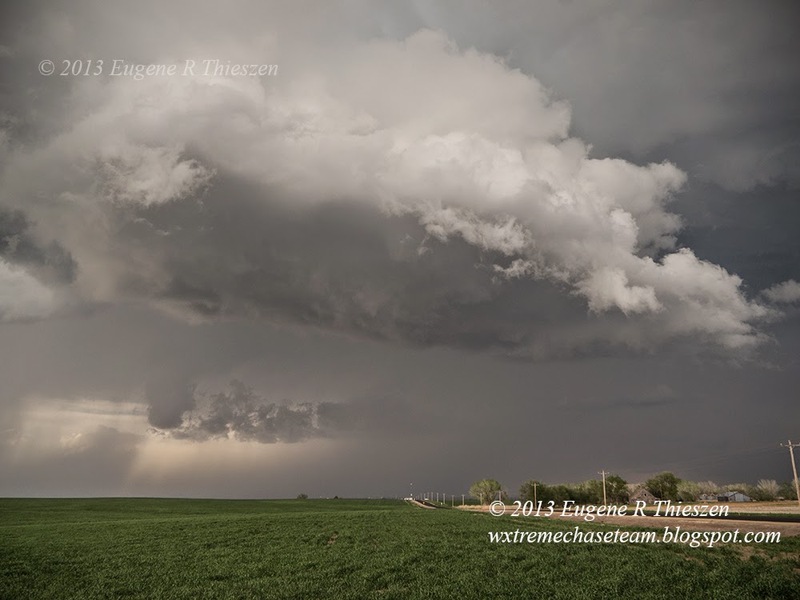 The cell quickly became severe warned and took on some interesting features. Just after the funnel feature dissipated Jason followed the storm east and found some golf balls on the side of the road. They had been sitting for about 10 minutes so its possible they came down closer to tennis ball size. 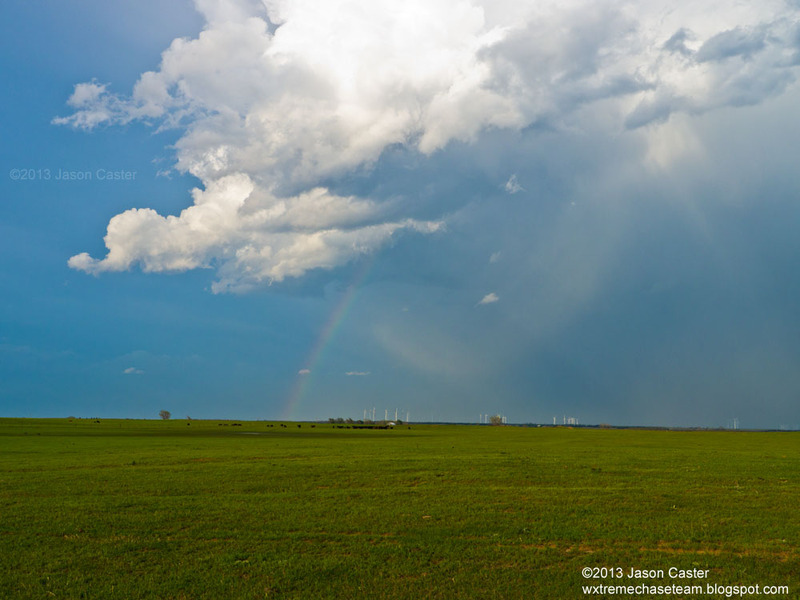 Deciding to start heading to the hotel for the night, Jason drove north and a new cell formed north of Woodward and produced a brief rainbow. 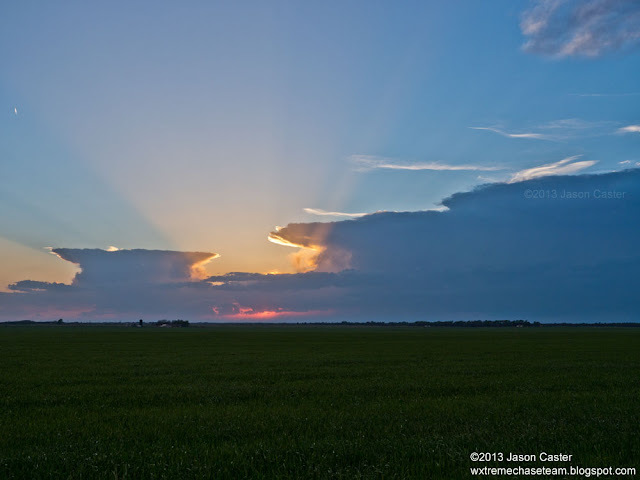 As the sun began to set, some new towers had formed over Beaver creating a beautiful sunset. 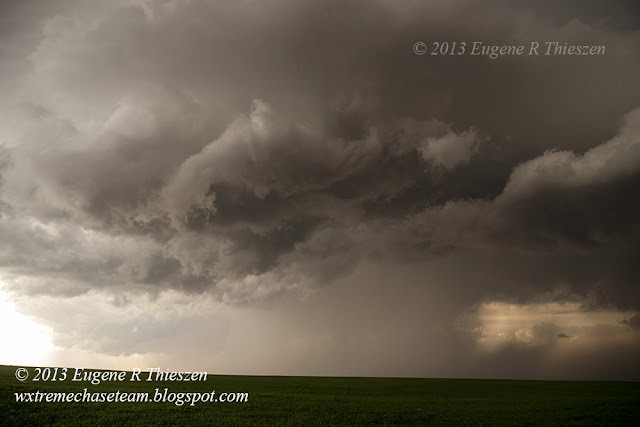 Gene ended up on a severe-warned LP-ish supercell in the Coldwater, KS area. The cell was rather high-based so even though it was quite active with a good deal of motion and rotation, there was no significant tornado threat. By 7:00 CDT the storm was weakening significantly as it moved ESE and once the hail shaft cleared the road, Gene returned N to sample some other severe storms on his way back to Nebraska.